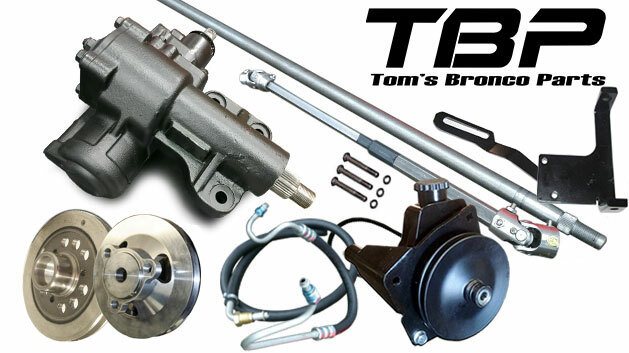 NEW Complete Power Steering Conversion Kit for 66-77 Classic Ford Broncos. This power steering kit includes all you need to upgrade your manual steering to power steering. This power steering box uses the factory holes in the frame so no drilling is needed. Utilizes the stock pitman arm so factory steering geometry is kept. 3.1:1 ratio no bump steer. PLEASE NOTE: Please select your engine and whether you have a body lift or not. Please call if you are not sure of the difference between a body lift and a suspension lift.